Since 1971, longtime Cat® customer Homex Development Corporation has developed countless subdivisions and more than 1,000 housing units throughout the city of Kamloops, British Columbia. Peter McCurrach founded the company nearly 50 years ago, and has never used anything but Cat equipment. Today, Homex runs a fleet of 20 machines including excavators, dozers, motor graders, compaction machines and skid steer loaders. Peter works closely with his son, Matt, who is now president of their family-run business. Since he was 3 years old, Matt has been around job sites – and has always admired yellow iron. With Peter soon to celebrate his 75th birthday, Matt wanted to celebrate his dad’s milestone with their first-ever trip to Illinois. 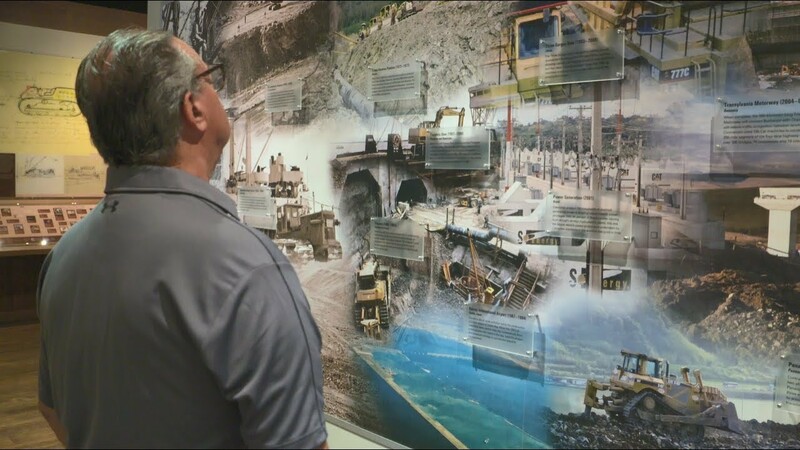 Not only did they spend quality time in Chicago, taking in a Chicago Cubs baseball game and watching the Bears play football, the two knew this special trip wouldn’t be complete without coming to see where Caterpillar was founded. Their Peoria visit included a tour of the historic Building SS where the larger dozer models are produced, and a walk-through of the Caterpillar Visitors Center. Watch Peter and Matt McCurrach talk about how loyalty to family and the Cat® brand play a big part in the success of Homex Development Corporation. This isn't your average museum! Ride in the bed of a massive two-and-a-half story Cat® 797F Mining Truck, unleash your inner engineer as you design your very own Cat machine, and test your skills on a machine simulator.